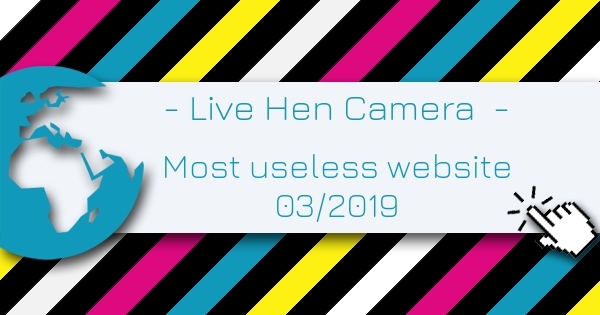 Live Hen Camera is the Most Useless Website of the week 03 in 2019. You love animals? Especially chickens? Then check out this 24/7 live stream. The webcam is in a stable in Boston. Do not forget to set your tone while watching the 8 chickens in the live stream.